Daryl Silvers lists and sells exclusive waterfront and beachfront properties and develops properties for investors. He and his team will find the perfect homesite for a customer working with architects, builders, and designers to create a unique “waterfront land and home package” to fit the needs and lifestyle of each customer. Daryl brings 30 years of real estate professionalism to every facet of the business. Originally from Indiana, he moved to Florida and became a licensed Florida Realtor in 1981. 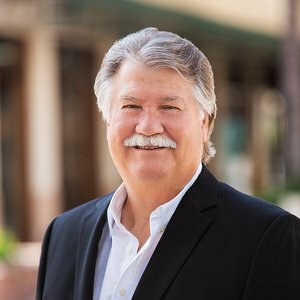 Daryl has managed all types of 1031 Exchanges, sold commercial real estate throughout Florida, attained a securities license with NASDAQ Securities and Exchange Commission, developed a national tax and asset protection firm to assist small businesses, and pioneered self-directed IRA accounts in real estate. Daryl has sold properties and developed projects in Royal Harbor, Old Naples, Aqualane Shores, Port Royal, and other boating and beachfront communities. He and his team of professionals provide the level of care and attention buyers and clients deserve and should expect. They guide homeowners through every step of the way and stay in contact with them throughout the process.